For consumers who want to make some extra money and like to try new things before everyone else, participating in taste testing is a great opportunity. Taste testings are held by companies that help businesses in the final stages product design. After a product, such as a new snack cake or soda, has been created, a taste testing is held either by the manufacturer or by a company that specializes in aggregating market data to determine what niche market is most likely to be attracted to the new product and how the company can best market it to them. To qualify, consumers are typically screened by answering a short series of questions over the phone or online. This provides the company with information about the consumer, and allows them to match him or her with products that he or she is likely to be able to provide useful information on. After all, a consumer without children is unlikely to be able to provide very much information on baby food, but a young woman may be the ideal consumer to attend a taste testing for flavoured vodka or a new energy drink. At a test, consumers may be told to try a product with other consumers or they may be alone with an evaluator. The evaluators may be in the room with the consumers or they may observe how the consumers eat, drink, wear or otherwise use the products from behind a one-way mirror. The market research company will do this in order to gain as much information as possible about how consumers experience the product. The results may reveal surprising information. For example, they may find that the product design for a juice box has more than one way for a consumer to insert the straw. Product engineers may be inspired to find that consumers remove the wrapping in a certain way so that it can be reused. As a result, consumers are likely to sign waivers agreeing to be videotaped during and after the testing and that they will not speak of their experiences afterward. Although the products or foods that consumers eat or test at taste testings are usually close to complete, they have not yet been typically launched into the marketplace. In today’s competitive business environment, it only takes one set of loose lips to give a competitor an advantage. Consumers should expect to sign confidentiality agreements. These will require the consumer to agree to not disclose anything about the products that they taste test, or anything else that they should see or hear. In general, though, consumers are kept out of the way of the rest of the business’s workers so that they cannot overhear or see anything confidential. This is to reduce the risk of corporate research and development being leaked. Legerweb offers their members opportunities to participate in taste tests in their area. Typically these are held in major Canadian cities such as Montreal, Toronto, Vancouver, etc. 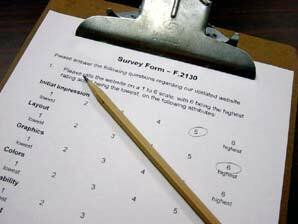 Legerweb also offers their members the opportunity to participate in online surveys, focus groups, mystery shopping, and at home product tests. In Canada, there are many taste testing companies available who conduct tests in major cities. One of the more reputable companies is Contract Testing, who have taste testing opportunities quite regularly and who typically pay around $15 for 30 minute taste tests. They hold taste tests in major cities including Vancouver, Calgary, Toronto, Winnipeg, and more. Visit their website for a complete list of areas they conduct testing in. You can become a member of Contract Testing for free.